Keep kids warm and cozy with these sweet mittens. 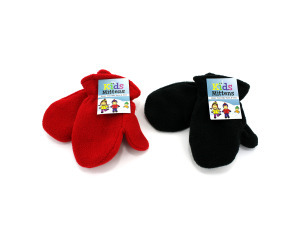 With an elastic back, they are sure to stay on, while the fleece construction ensures they are warm and soft to hands. Assorted colors.